Plot: Starr witnesses the fatal shooting of her childhood best friend Khalil at the hands of a police officer. Now, facing pressures from all sides of the community, Starr must find her voice and stand up for what's right. Starring: K.J. Apa, Amandla Stenberg, Anthony Mackie, Regina Hall. distributed by Fox «The Hate U Give» in the US movie theaters released on October 19, 2018 and has grossed over $29 million worldwide; dvd and blu-ray release date was set for January 22, 2019. Rent from Netflix and Redbox from January 22, 2019. 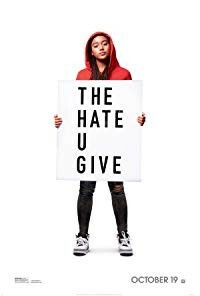 «The Hate U Give» in the UK released in movie theaters on October 26, 2018. The movie released on dvd and blu-ray on February 18, 2019.